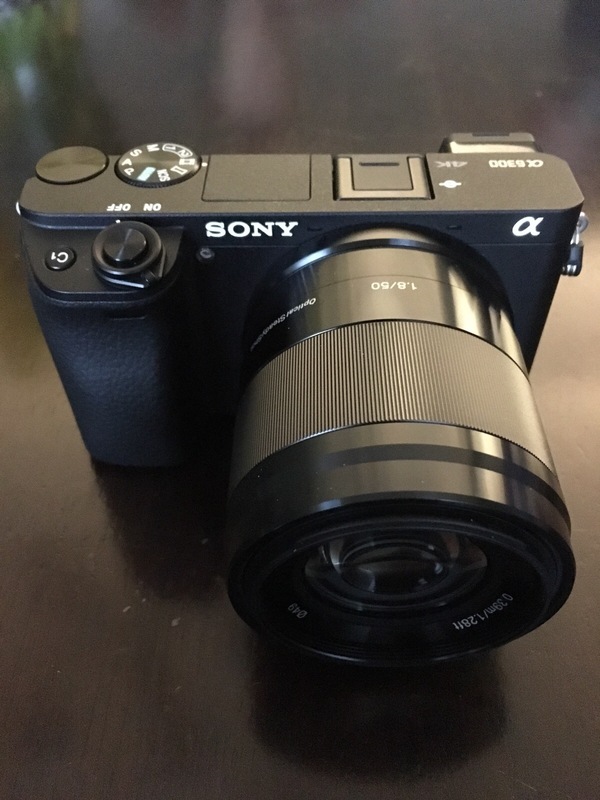 I was so thoroughly impressed with the Sony a7s ii that we rented for the Sweden trip that I decided to buy its smaller relative, the Sony a6300. It was just released this past month as the successor to the popular a6000. It’s a mirrorless E mount with 4K recording capabilities and shoots 1080p at a silky smooth 120fps. It’s not perfect by any means. Review after review has lamented the rolling shutter issue when shooting 4K. It’s when the footage pretty much looks like jello. Oddly I had experienced this with the a7s ii after shooting an interview on a motion slider. Even with the relative smoothness of the slider, the footage was horrible. The only shots I could salvage were the ones where the slider reached the in or out and paused before turning back around. I haven’t seen this effect yet on the Sony a6300, but I did end up picking up some lenses with OSS which has probably helped. Unlike the a7s ii, the a6300 does not have built-in stabilization and stabilized lenses are the only way to go if you’re shooting anything with significant movement. The Sony a6300 also overheated on a recent interview and just shut off. That wasn’t cool, but at least I had a second camera rolling. Negatives aside, it’s a really nice camera. Sony has really embraced the video option on their DSLRs. They have picture profiles that let you shoot greater dynamic range. The autofocus is pretty decent with native lenses (a little iffy when coupled with an EF adapter). It’s light and compact which is great for run and gun or trave situations (which is a large majority of my productions). Overall I’m happy with it. It’s a step up from where I’ve been simply because of the 4K and 1080p 120fps alone. That in and of itself sold me on it as a solid B camera.